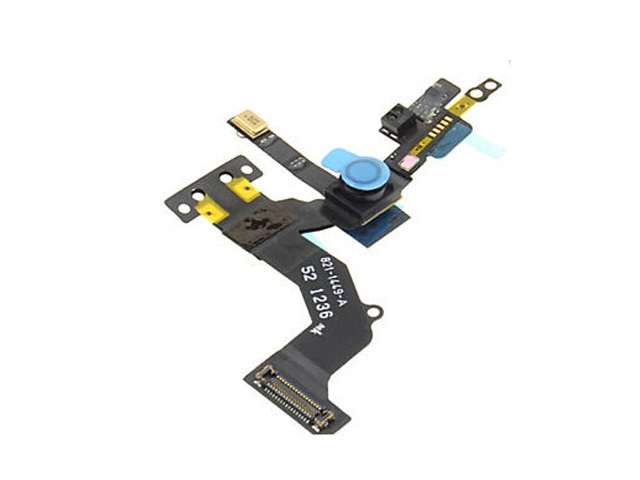 Etrade Supply offers the high quality and reasonable price of replacement parts for iPhone 5 Front Facing Camera with Sensor Flex Cable Ribbon. This iPhone 5 Front Facing Camera is a very important component for cell phone, and it is very easy for you to install this iPhone 5 Front Facing Camera. The high quality iPhone 5 Front Facing Camera in right price helps you expand your market. In no case can we cheapen the quality of iPhone 5 Front Facing Camera. After the order is placed, we will ship the iPhone 5 Front Facing Camera within 3 business days after confirming customer's payment.